WASHINGTON, DC. 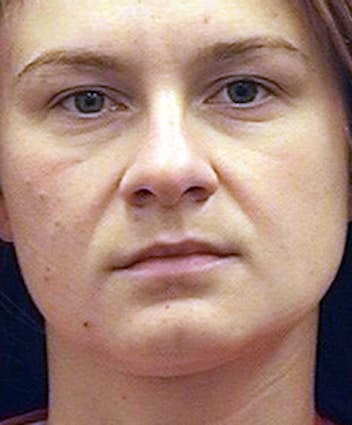 (THECOUNT) — Maria Butina, the Russian national accused of acting as a Kremlin agent in the United States, was abruptly moved from a jail in Washington to a lockup in Alexandria, Virginia, according to her lawyer, thedailybeast is reporting. The Justice Department did not immediately respond to a request for comment on why Butina had been moved. Butina has pleaded not guilty to charges she acted as an covert Russian agent. The Russian Ministry of Foreign Affairs has accused American officials of mistreating Butina in jail. Butina attended graduate school at American University, and over several years built relationships with a host of leaders in the conservative movement. She began a romantic relationship with Paul Erickson, formerly a member of the board of the American Conservative Union, and he helped her build connections throughout the American right. Court documents and public reports indicate that Russian billionaire Konstantin Nikolaev helped fund her activities in the U.S. The Daily Beast reported last week that she also had assistance from Igor Pisarsky, a prominent public affairs professional in Moscow whose firm has worked for a host of Kremlin clients.